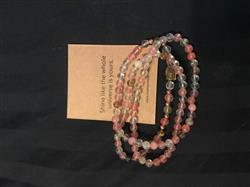 Our Ratavat bracelet features a gorgeous selection of 108 watermelon red stones. Known for its qualities of love and attraction, it’s believed to provide loving energies. It was a gift to my girlfriend. She loves Her bracelet! It’s a well made, beautiful bracelet. I wear it all day long and it doesn’t bother me. 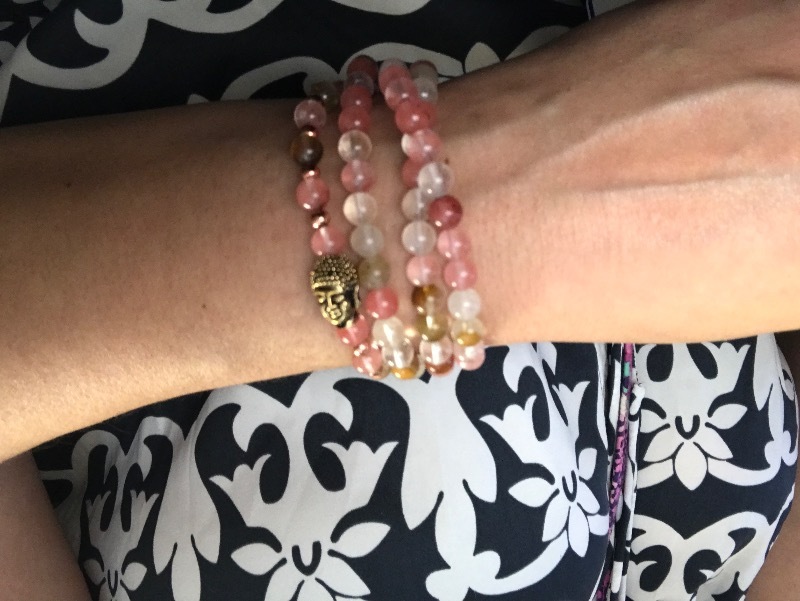 It’s a very versatile piece that can be worn to yoga or to a fancy event. I love this piece! AWESOME. Many many thanks. One delighted customer. I received my Ratavat mala bracelet. My first impression was that it was packaged very nicely really loved the crystals and quality. 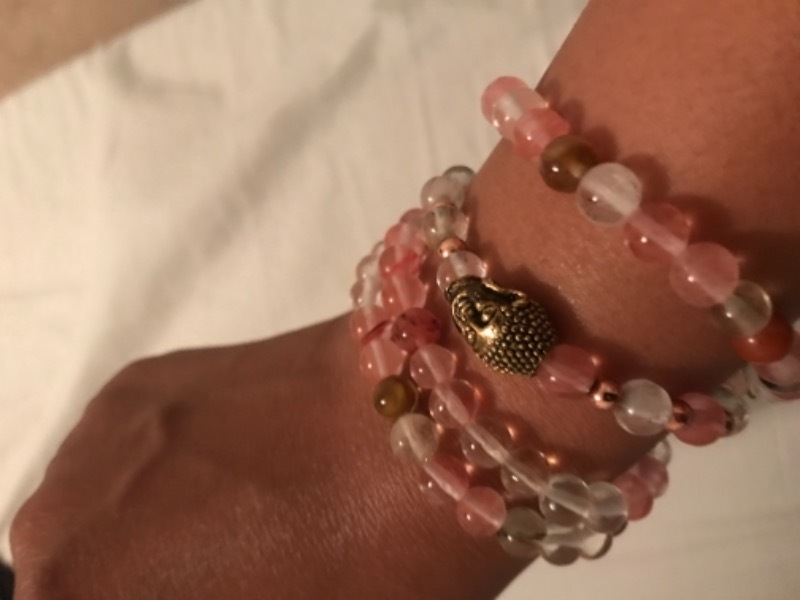 I’ve worn it several times it feels perfect and goes well with all my other crystal jewelry I wear! Happy with it!